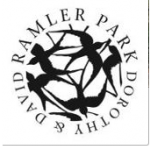 The Friends of Ramler Park, Inc. are an all-volunteer, 501(c)3 non-profit organization, formed in 1999 to develop Ramler Park in partnership with the City of Boston. The Friends support the park by: providing funds and managing ongoing maintenance of the physical structures, including the fountain, pergola, custom designed bird-themed fence, park furniture, and walkways; contracting professional soil and tree care; purchase and care of perennials and annuals; and organizing social programming, such as free jazz, classical and other music concerts and performances. Thanks to a generous gift of land by David Ramler and family in 1999, combined with the inspired activism of local volunteers and the encouragement and support of our City of Boston public partners, this once vacant parking lot has been transformed into a beautiful public garden. Ramler Park, owned by the City of Boston, is an elegant half-acre public park, quietly nestled in the densely populated West Fenway neighborhood of Boston between Fenway Park and the Museum of Fine Arts. The Fenway is home to nearly 40,000 residents within 1.25 sq. miles, surrounded by Kenmore Square, The Colleges of the Fenway, and the Longwood Medical Area. A place for quiet reflection, a leisurely picnic, or a pleasant evening filled with live music and community spirit. 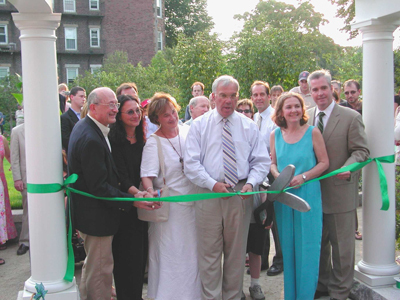 The Friends of Ramler Park, with support from Mayor Thomas Menino and the Boston Parks Department, officially opened Ramler Park in August of 2004.